We supply the finest sustainable seafood from Ireland’s west coast to customers all over the world and we are proud of our reputation for fresh fish and the very best Wild, Organic and Superior Irish Smoked Salmon. Smoked Salmon and fresh seafood are a passion for the Quinlan family and they strive to ensure that they provide the best seafood to their customers. Our Award Winning Wild, Organic and Superior Irish Smoked Salmon and Fresh Fish are available online and at our Fish Shops and Seafood Bars in Kerry. Browse our website for more information on the Fish Shops and Seafood Bars. Since 1960, Kerryfish has followed a tradition of carefully selecting, curing and smoking the finest Atlantic Salmon and our philosophy is to use artisan skills, age-old recipes and the finest fresh ingredients to bring our customers the very best Wild, Organic and Superior Irish Smoked Salmon. 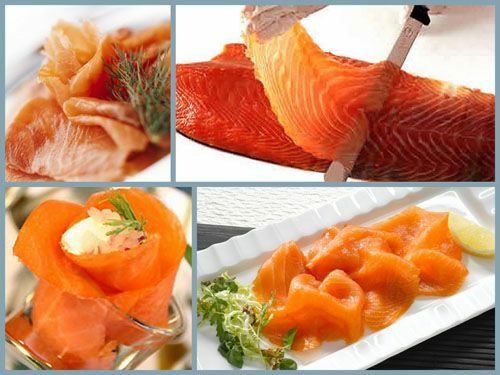 Visit the Smokery pages to learn more about our Wild, Organic and Superior Irish Smoked Salmon. Quinlan’s are now the most decorated Smoked Salmon producer in Ireland and has continued its phenomenal year of food awards by topping the taste test at the annual Blas na hÉireann, Irish Food Awards. 2014: Radio Kerry Business of the year award. Kerryfish Ltd and Quinlans Fish shops have won many awards since the company was founded 50 years ago but 2014 will take some beating!. We want to say a big thank you to the Fisherman, our staff and our customers for supporting and helping us to win even these awards.